The Oregon Regional Accelerator and Innovation Network, or RAIN, has positioned itself to fill a major investment gap in the South Willamette Valley and Mid Coast region. The state and regionally funded, entrepreneurial support organization has announced that it will partner with Nitin Rai who will oversee an independently–managed early and seed stage fund to support regional startups. Start-up companies will include but will not be limited to graduates of the RAIN Corvallis accelerator (also known as the Oregon State University Advantage Accelerator) and the RAIN Eugene accelerator. Rai has over 28 years of experience in the high-tech industry. He is currently President and CEO of First Insight Corporation, a Hillsboro-based software company, which he founded in 1994. 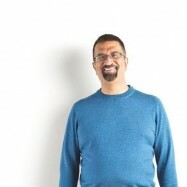 Rai is also a founding charter and board member of TiE Oregon since 2007, and currently he serves as its President. “This opportunity is very exciting for me because I’m so passionate about helping early-stage companies secure the mentoring and financial support they need to succeed. I have personally invested in 15 Oregon startups and mentored hundreds of entrepreneurs,” said Rai, who helped launch TiE Angels Oregon as its Chair, which as a group has invested over $4.5 million in 25 startups since 2010 with 4 exits and extremely healthy returns to its investors. Research by the Ford Foundation, and others, has demonstrated that the success of startups can be increased by a strong, regional pool of capital and professional, knowledgeable fund management. In a recent statewide study it was concluded that the region served by RAIN has significant funding gaps, especially for early stage capital, including seed capital. “RAIN has already had a lot of success with its programmatic elements, which include the two accelerators and the innovation network, but the third element of the RAIN strategy is to develop a regional pool of capital, which will tie everything together. The investments will cover a broad range of industries that drive economic growth with high paying jobs. This early stage fund also fits in with my plan to create a larger state and northwest region wide fund that will invest in both early and seed stage startups in diverse and under-represented regions and entrepreneurs,” said Rai. RAIN will not actively manage the fund but will act as a catalyst for its development. Similar models for such catalytic efforts include Economic Development for Central Oregon (EDCO) catalytic relationship with Cascade Angels and the Oregon Entrepreneurs Network relationship with the Oregon Angel Fund. Potential funding sources for such a fund include private investors, government and foundations. Coonan expects $2 to $4 million to be raised for funds specifically focused on the RAIN region. Typical investments in companies will range from $25,000 to $250,000.